Camus nan geall. (Bay of promises) view point. 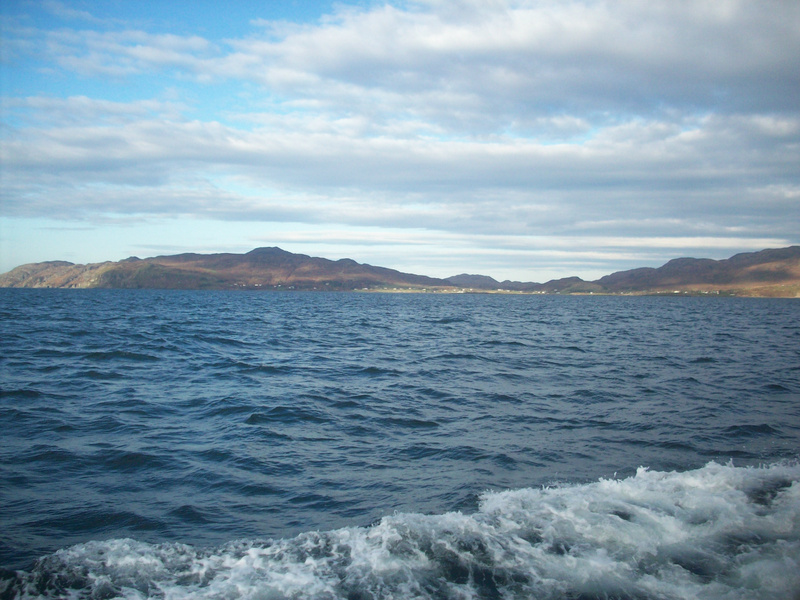 View from Ormsaigbeg road end to the Isle of Mull. 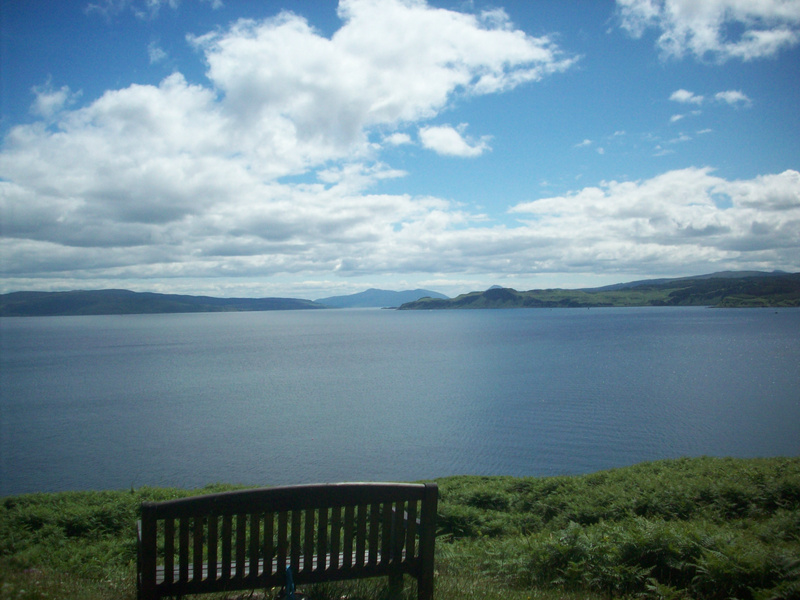 Looking out from campsite to the sound of Mull. Failte gu Aird nam Murchan. Welcome to Ardnamurchan. 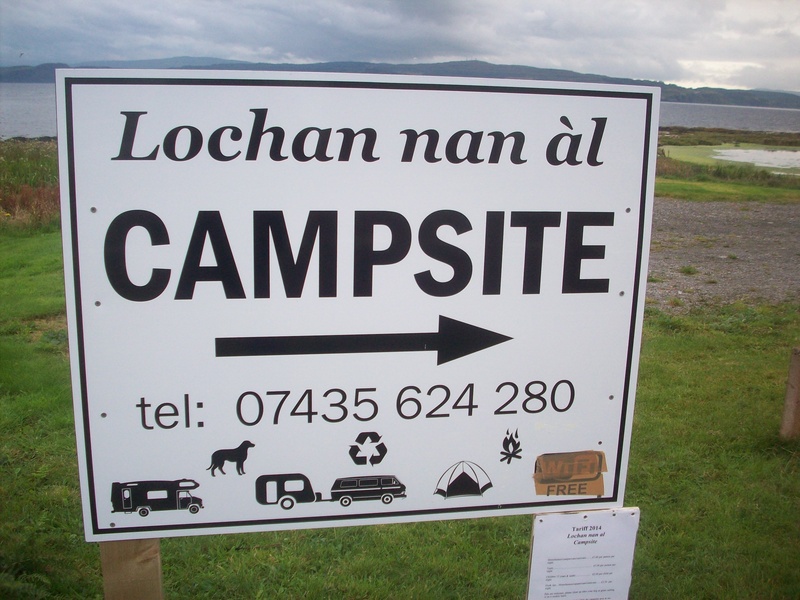 Lochan nan al, Campsite, Ormsaigbeg, Kilchoan, Ardnamurchan, North Argyll. PH36 4LL. Tel: 07435 624 280 for booking & prices or any other enquires. Open all year. We have pitches for 20 tents & 9 level hardstandings for camper vans or caravans & can accommodate up to 15 metres in length. Hook ups are optional for camper vans/motorhomes/caravans but not for tents. Pets are welcome on the campsite as long as they are kept under control & dog fouling is picked up as grass is cut on a regular basis. We are adjacent to the local well stocked shop & a 5 minute drive to the local ferry for Tobermory which has a nine hole golf course. Go to Cal Mac website for ferry times & prices. 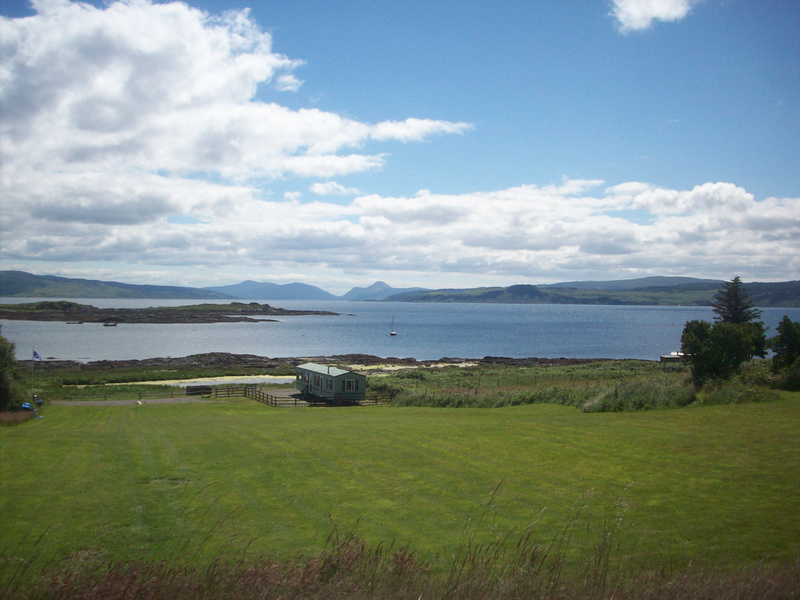 Kilchoan hotel is a 15 minute walk from the site & serves food till 8pm. Toilet/shower block (open 24hrs & with less able access) is beside our site & costs £1 per shower. 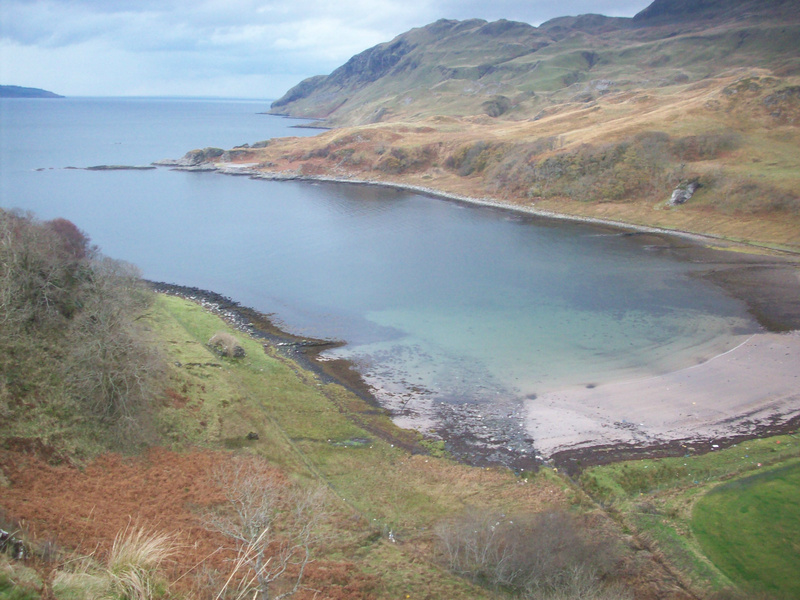 This facility belongs to the West Ardnamuchan Jetty Association & every £1 goes to the upkeep of the jetty which is free for everbody to use for launching/retrieving boats. Lochan nan al which is tidal, translates from Gaelic as: Small loch of Broods, which to this day can be understood with the amount of wild fowl & their young broods that can been seen each season on the water. There is abundant wildlife round us including: otters, golden & seaeagle, buzzard & heron are often seen. Easy walking & access for shoreline or hills above our site. You can see a short video of our site on You Tube, just search: Lochan nan al.